Delivered by Agustin Del Vento, Director, Change Champions Consulting Inc., our ExperienceChangeTM change management certification workshop was a total success! More than 30 leaders from 11 companies joined us in a day full of energy and packed with experiential learning and fun. The discussion was centered on the “what to do” (tools and process) and “how to be” (mindsets and reflexes) of change to achieve employee buy-in and support organizational growth. Presented with change theory and a hands-on simulation, participants were challenged to work in groups and build strategies to successfully lead change at Global Tech, an organization undergoing major changes. 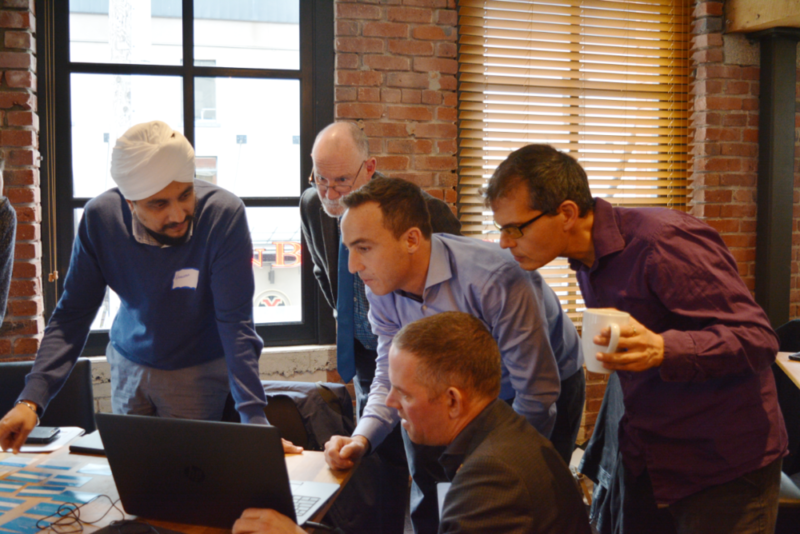 Representatives from BC Hydro, VanCity, STEMCELL, Finning, Plantronics, BC Cancer Agency, Langara College, University of British Columbia, Vancouver Coastal Health, Microsoft, and Teck Resources attended the workshop. What insight can you share coming out of Change Champions Consulting’s ExperienceChange™ workshop? ExperienceChangeTM provided a simple structure to apply to complex situations. I feel that I have greater tools to throw from as I return to the workplace. – Katelyn Merrit, Community Services Manager in Contract Development at Vancouver Coastal Health. 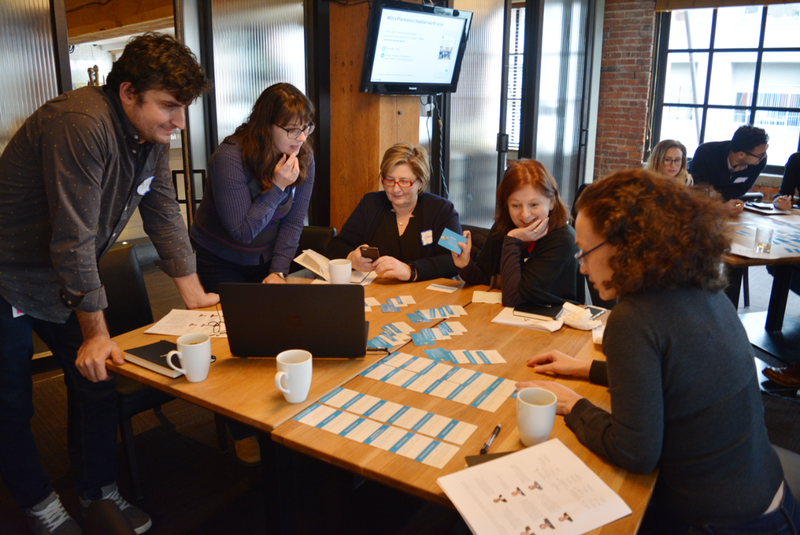 What did you enjoy the most about Change Champions Consulting’s ExperienceChange™ workshop? What I enjoyed the most about the workshop was that although the simulation was a challenging case in change management, the program had excellent user experience and was engaging for participants of all levels of experience in change management. – Justin Balaski, Change Manager Manager at Finning. What do you plan to apply from the knowledge you acquired during Change Champions Consulting’s ExperienceChange™ workshop in your work environment? Great workshop that shows potential consequences to actions taken while going through change. What I valued the most was the framework. It is good to take this and apply at my work. – Luc Holland, Projects Coordinator at BC Cancer Agency. Would you recommend Change Champions Consulting’s ExperienceChange™ workshop to your colleagues? Why? What an informative, interesting and fun workshop! I highly recommend Change Champions Consulting to guide your organization to a positive outcome. – Lynnette Whitfield, Territory Manager at Plantronics. Change Champions Consulting’s ExperienceChangeTM is an award-winning change management certification based on an e-learning simulation. Designed after 20 years of research, ExperienceChange enables participants to explore and quickly experience change management theory in action. The experience simulates the challenges of real world change without the real-world scars and allows participants to receive immediate feedback on their decisions. If you want to receive more information about ExperienceChange or would like to discuss how we can help you get the most value from your change efforts, contact us at info@changechampionsconsulting.com or 778 836 0144.